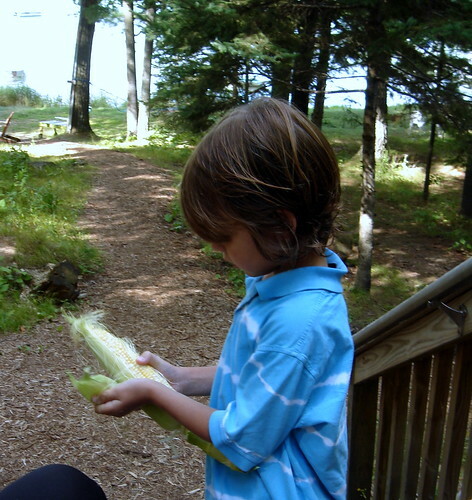 Yes, fresh local sweet corn. Decadent. Decadent. Decadent. 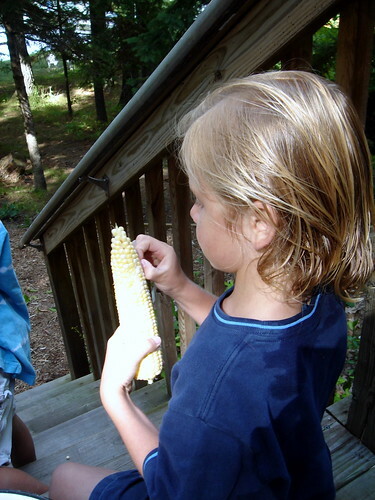 I can't even count how many dinners were enhanced by the seasons finest sweet corn. No need for butter or salt, nope, it's just right "as is". All these cabin posts make me so lonely for WI. Where is your cabin?? We might need to rent one when we go up next time. Yum sweet corn. Its a gift from summer. Fresh corn is just amazing. It looks so relaxing there.